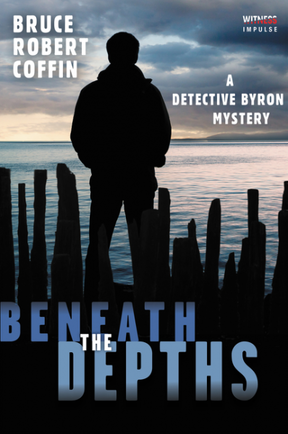 I invited the indefatigable Bruce Robert Coffin, author of Among the Shadows and Beneath the Depths coming out on August 8, 2017 to share his experience as a young writer with a creative demon. Creative demons are people who step on your creative dreams like bugs squashed under the heavy sole of a work boot. 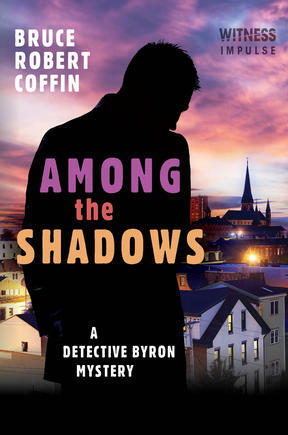 I love how Bruce is willing to share with writers and other artists how he reframed his experience and went on to write the successful Detective John Byron series (Harper Collins). Bruce Robert Coffin here, delighted to be guest blogging on the Miss Demeanors website! Many thanks to Michele Dorsey and the rest of the gang for the invite. I thought I’d ruminate a bit on overcoming ones creative demons. And when I say demons I mean of course those pesky things that stand in our way, blocking the path to creative nirvana like a Jersey barrier. The irony is, as write this I’m sitting at the airport waiting to learn my fate with at least a four hour flight delay due to: weather, construction at JFK, or the unspoken excuse of ‘we didn’t fill the plane so we’re combining flights so we don’t lose money’. Excuse the pun, but my money is on the latter reason. The whole point of my trip is to meet with my publishing team at HarperCollins. But I digress. Back to my original point. Perhaps my most formidable creative demon, and one that comes up frequently during my author talks, appeared during my college days in the form of a creative writing professor. I had been awarded several scholarships for my writing ability and had dreams of becoming a published novelist. My writing professor was far less than nurturing and in no time I found myself floundering. The short story writing that had earned me As in high school now received only Ds. Discouragement was on the horizon. The message became clear. I couldn’t write. Ultimately, I made the tough decision to pursue an altogether different career path. I chose the field of law enforcement because my uncle was a police officer. I’d seen him in full regalia enough times to make a positive impression. In 1985 I was hired by the Portland police department. It was a career that I loved and stayed with for more than twenty-seven years. Oddly enough, in the spring of 2012 I found myself infected by the creative writing bug once more. It was as if the desire to write had never really left me. And this time I actually had something to write about. 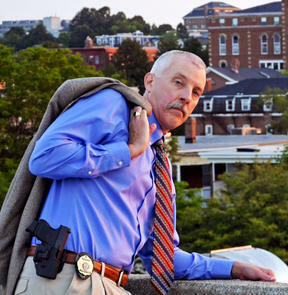 My nearly three decades as a cop left me with something to say. I often wonder, what if my college experience had been different? What I would have written about? I suppose I would have written about other people’s lives, as I hadn’t really done anything worth mentioning at the point in my young life. But now I have more than a lifetime’s worth of material from which to draw. My years as a police investigator have provided me with a veritable cornucopia of experiences that most writers would kill for, metaphorically speaking of course. Or maybe not… I like to joke that writing novels is cheaper than spending time on a therapist’s couch. Okay, so maybe I’m only half joking. If there is a lesson to be learned here, I think it is don’t ever let anyone squash your dreams, whatever those dreams may be. In the five years since retiring from police work, my life has gone in a completely different direction than I could have ever imagined. My dream of becoming a published author has been realized. I have bested my creative demons, and if I can do it, so can you! Wait a minute. What’s that? They’ve started the boarding process for my plane! Ha! Another demon bested.Write on, McDuff! Is anyone else willing to share how you reframed an experience with a creative demon?